The Mystery of the Hanging Garden of Babylon is an exciting story of detection involving legends, expert decipherment of ancient texts, and a vivid description of a little-known civilization. Recognized in ancient times as one of the Seven Wonders of the World, the legendary Hanging Garden of Babylon and its location still remains a mystery steeped in shadow and puzzling myths. 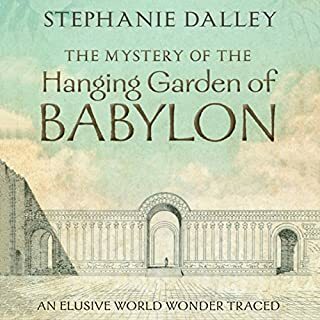 In this remarkable volume Stephanie Dalley, a world expert on ancient Babylonian language, gathers for the first time all the material on this enigmatic World Wonder. This was a cool book. 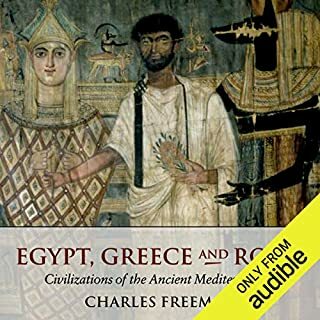 Thankfully more and more books on Assyriology are available on Audible. The writing wasn't quite as fluid, or maybe just enthusiastic, as Irving Finkel's book I read about a month ago on Mesopotamian flood stories but this was still really good. The scholarship here from Stephanie Dalley is really, really solid. The prose is super straight forward and she presents her thesis really well and breaks the chapters down really logically and in a good order. Her main point and thesis is challenging the idea that the Hanging Gardens of Babylon were built in the actual and literal city of Babylon but instead the Assyrian city of Nineveh. She shows several different historical examples of how in several different cultures, like classical Greece and Rome, Babylon was used to name several different cities in Mesopotamia. She also talks about this Sumerian idea of Archetypes, I'm not sure if that's the word she uses or not, that were kind of a pre-dating of Plato's Forms. She describes the Sumerian idea of Archetypes as initial gifts from the gods to humans, things like literature and engineering. Then she shows how this concept led to people throughout history being associated with figures from the past or their ideas being associated with people and ideas from the past to give them legitimacy in their own time. Also Stephanie Dalley shows how literal interpretations of the Hebrew Bible led several scholars in the 19th and 20th centuries to believe that Nineveh ceased to exist and thrive after 618 (or 612?) BCE because of The Book of Jonah. She spends a lot of time showing several textual examples from several sources how Nineveh continued to thrive and exist well beyond its original conquest around 618 BCE. There is also a lot of time spent talking about Archimedes screw and where it likely came from and how it pre-dates Archimedes by some time, I think. There is a decent amount of general Ancient Mesopotamian history and information here, too, though maybe not as much as I would have liked. This book stuck to its main thesis pretty closely and didn't go off on too many tangents. But yeah, it's great seeing really solid publishers like Oxford Press putting out solid books on Assyriology and seeing them come out as Audiobooks. This was definitely a great read. From its gradual decline during the latter part of the twentieth century, religion has been catapulted back into public consciousness, not least by acts of violence, extremism and various forms of fundamentalism. 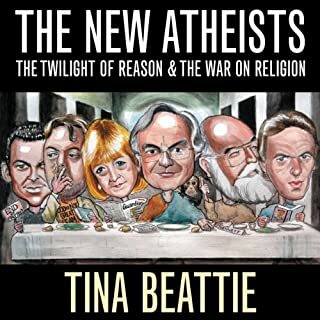 In this lively and provocative contribution to the debate the leading British feminist theologian, Tina Beattie, argues that the threat of religious fanaticism is mirrored by a no less virulent and ignorant secular fanaticism which has taken hold of the intellectual classes in Britain and America. I recently heard of Tina Beattie via her tension with the Vatican that I saw written about on a blog somewhere. And personally, I always really enjoy reading different authors that the Vatican wants to censure, and as a believing Catholic, I'm always looking for good Catholic literature to read, and often looking up what Feminist literature the admins are trying to stamp out usually provides for great, great and deep and insightful reading that often brings me closer to God. And that's what this book did. Really, this book was a total surprise. I had no idea that there was an audible edition, and as soon as I saw it I bought it and read it in a couple days. There is much, much more here than a treatment of The New Atheists and Tina Beattie's thoughts on that camp. If you want to sum this up in a few logical-esque sentences, this is more of an indictment of fundamentalism and it's use in corrupting both science and religion. Because the goal of this book is to show that science must not seek to eradicate religion and religion must not seek to eradicate science. She also spends some time arguing against the use of rhetoric and arguments in the dialogue between science and religion and suggests instead that art is a much better space for our mutual worlds to dialogue in. And the narrator does a very, very good job. She made the book read well and I think did a very good and clear job. This book was an absolute joy to read. Frankenstein is infused with some elements of the Gothic novel and the Romantic movement and is also considered to be one of the earliest examples of science fiction. 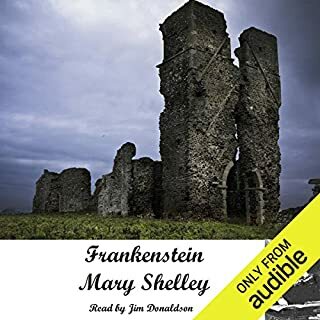 Includes introduction and commentary by Mary Shelley. Required reading for any fan of science fiction and horror genres. A classic. This audiobook was actually my first complete experience of this novel. I'd started it a couple of times, but it's very hard for me to read printed text, listening to prose is so much easier for me. So anyway, the novel is very, very perfect. This edition, I think, is very well done. The narrator does a great job with all of the characters. Sometimes, especially in older novels, some of the female characters done by male narrators seem kind of put on, as do almost any character with any type of an accent. But this narrator does a very, very good job. The different accents are bold and authentic and done with an air of meaning and authority that I really, really liked. Jim Donaldson's speech patterns are also very clear and easy to understand. I think he does a great job reading this classic novel, making it very enjoyable and very accessible. This book was well written and performed. I'm a very slow reader and I'm a much more audio oriented person anyway as opposed to visual. But, unfortunately, there aren't a ton of widely available academic audio books in the way of history, or that many academic texts in general in an audio format anyway. So, when I find books like this that are available as an audiobook I'm always really excited! This book was read and produced well and the author did a very, very good job covering and illustrating his subjects! The scholarship was solid and open ended and approached the material from several angles. I also appreciated his bent towards leaning towards the populares. Overall, I'm really glad I read this and that it was available! Murakami is always perfect, I think. At least, I really, really like everything I've ever read by Haruki Murakami. What make this book a little more special was the wonderful narration job by Rupert Degas. His narration is a lot Frank Muller and David Lynch combined, voice quality, like. His different voices are perfect. 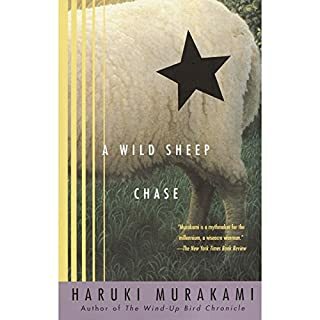 He doesn't try to add in a Japanese flavor, but rather takes the Japanese settings and locales and interprets the accents to how they might seem if this novel were taking place in America. Like when the narrator of the book goes back to his hometown, the different people in the town have a more country-esque flair to their voices. Too, the way Rupert Degas says the word, "sheep," and the different variations of sheep in this novel is perfect. He buys into this 100 percent and allows us, the readers, to buy in 100 percent, too. His French accents are incredible, also. When the narrator and his girlfriend are dining in the French restaurant in Tokyo, the dude really does a wonderful job with the menu items. And the story is wonderful. If you've never read anything by Haruki Murakami, this is as good as any place to start, I guess. If you have read Murakami before, this is definitely a Haruki Murakami novel. It's 100 percent wonderful and definitely worth buying and reading and listening too. Raimund Gregorius teaches classical languages at a Swiss lycée, and lives a life governed by routine. One day, a chance encounter with a Portuguese woman inspires him to question his life - and leads him to an extraordinary book that will open the possibility of changing it. 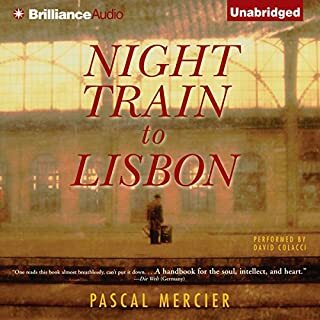 Inspired by the words of Amadeu de Prado, a doctor whose intelligence and magnetism left a mark on everyone who met him and whose principles led him into a confrontation with Salazar’s dictatorship, Gregorius boards a train to Lisbon. Took me a LONG time to finish this one! I really, really enjoyed this book. The story is, at least I think, absolutely fantastic. The main characters time in Portugal, learning about these other people, is such a great thing to witness. We never know what could have happened if we'd taken this or that turn in life, and Pascal Mercier does a great job of fleshing that out. Probably my favorite part of the book is when Gregorius is talking with an old friend of Amadeu and she says something like, "His biggest regret seemed to be that we didn't go to Avila together." The narrator did a good job. His work with the accents and different European names was really well done. At times his narration was a little airy, there were times, too, towards the second half of the book, where it kind of carried on and on, and it got a little old hearing the airiness of the narrator's voice talking about tea, but, in a sense, this has more to do with the characters and text the narrator is working with rather than the man himself. Overall, though, this book is definitely worth reading. Even the scenes of Gregorius riding the train or the way he approaches new languages or translating things into Greek and Latin and Hebrew for fun make this book absolutely worth reading. This book was wonderful. My favorite professor as an undergrad was from Transylvania and taught a one night a week Russian lit course that I had the privilege to take. She often said how much she hated post-modernism for it's reliance on theories and etc and etc and etc. 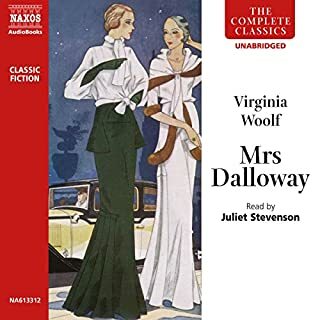 She always brought Mrs. Dalloway into her wonderful lectures and I've always meant to read it since. 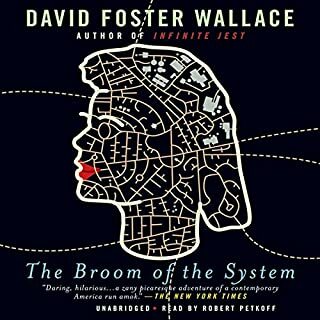 The last book I read was The Broom of the System, and it was a pretty good book, but I really found myself pretty disappointed by the end what for all the philosophical this and thats instead of a genuine conclusion. So, I figured why not? I'll shoot Mrs. Dalloway a chance. I really loved this book. I really, really, really love this book. The characters are brilliant, the different perspectives are brilliant, Virginia Woolf's obvious love and passion for London and England are truly inspiring and beautiful to behold, her overt love for life, at least how it seems in this novel, is absolutely wonderful, I don't know, to me, this book is very close to being perfect. In a few words, life is life, there is no meaning, no hidden secrets, life is just life in it's many different forms from beautiful, lovely, painful and horrid and beautiful all over again, this book is so wonderful. The ending too, I thought, was particularly awesome. The last few sentences are masterful. The narrator, Juliet Stevenson, does a wonderful job. She brings all the characters to life really well, I think. Her narration is very believable and professionally done. It made listening to the book very easy and enjoyable. She has a very cold and very sincere tone all at the same time. The book, too, was really wonderful for getting a glimpse of life in London after the First World War. Man, I can't recommend this book enough.